Australia’s Ajla Tomljanovic will be forced to wait a little longer for her maiden WTA tour title after suffering a tight three set loss to Ukranian up-and-comer Dayana Yastremska at the Toyota Thailand Open in Hua Hin. Entering the tournament as the sixth seed, Tomljanovic was playing her fourth event of the year after a quarterfinal run in Brisbane (losing to eventual champion and former world #1 Karolina Pliskova) and first round exits in Sydney and Melbourne to Camila Giorgi and Johanna Konta respectively. Yastremska, seeded eighth, was coming off a third round exit to Serena Williams at the Australian Open. The pair had played each other just once prior to this meeting at the Beijing qualifiers in 2018, where Yastremska prevailed in three sets. Neither player had dropped a set leading into Sunday afternoon’s final. Tomljanovic beating Stefanie Vogele and Kateryna Kozlova in her first two matches before toppling fourth seed Zheng SaiSai in the quarterfinals, and despatching Slovenia’s Tamara Zidanesk 6-4 6-1 in the semis. On the top half of the draw, Yastremska defeated Aranxta Rus and Shuai Peng before she felled top-seeded Garbine Muguruza in the quarters, followed by Poland’s Magda Linette. Yatremska started hot, racing through the first five games of the match in some twenty minutes before Tomljanovic stemmed the tide with a hold and a break, bring it to 2-5. But Yastremska was equal to the task, hastily pouncing on any short deliveries, and breaking to take the first set 6-2 in 33 minutes. Tomljanovic would take the second by the same margin. As the score stood at 2-2, the blinding aggression that had given Yastremska the early ascendancy had begun to go awry amid double faults and unforced errors. Tomljanovic began to wrest momentum away from the Ukranian, and eventually secured a double break, forcing a decider. One of the pivotal moments in the contest came as the scores once again stood at 2-2 in the third set. At 30-all on Yastremska’s serve, Tomljanovic would draw her opponent into the net with a pin-point drop shot. Yastremska would scramble in and hit a winner, but would make contact with the net in the process, setting up a break point for the Aussie. Tomljanovic would ultimately break twice, gaining a 5-2 advantage at the change of ends. It was at this point that Yastremska would call the trainer down for a medical time out. While the trainer worked on what appeared to be an unspecified injury on Yastremska’s upper thigh, Tomljanovic would voice her frustration to the chair umpire that no explanation was given as to why the medical timeout was called. When play resumed, momentum belonged entirely to the Ukranian. Tomljanovic had her chances, but they were all quashed as both of her attempts to serve out the tournament were thwarted by Yastremska’s aggression. She would win four games on the trot, forcing Tomljanovic to serve to stay in the match at 5-6. 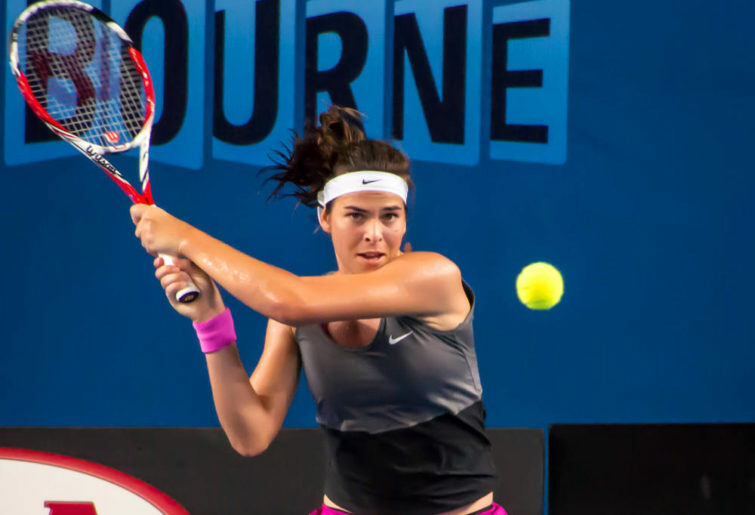 Of the six double-faults Tomljanovic served during the match, three of them came late in the contest, and the last of which came at 3-3 in the deciding tiebreak. It would be the death knell of Tomljanovic’s title hopes as Yastremska wouldn’t drop another point, winning the title 6-2 2-6 7-6(3). With the win, Yatremska will reach a career-high ranking of 34. It is her second career WTA title. Meanwhile in St Petersburg, Eighth-ranked Kiki Bertens of The Netherlands defeated Croatia’s Donna Vekic to win the formula TX title. After a first round bye, Bertens came through a draw comprising qualifier Ysaline Bonaventure of Belgium, Aussie Open quarterfinalist and home favourite Anastasia Pavlyulchenkova, and Shenzen champion Aryna Sabalenka of Belarus. Vekic’s route to the final consisted of victories over Timea Bacsinszky of Switzerland, Veronika Kudermetova and Vera Zvonareva of Russia, and a straight sets quarterfinal stunner over Australian Open finalist and defending champion, world no.2 Petra Kvitova.